Latin Mass Society Chairman Blog: Is the Novus Ordo an authentic expression of the Tradition? 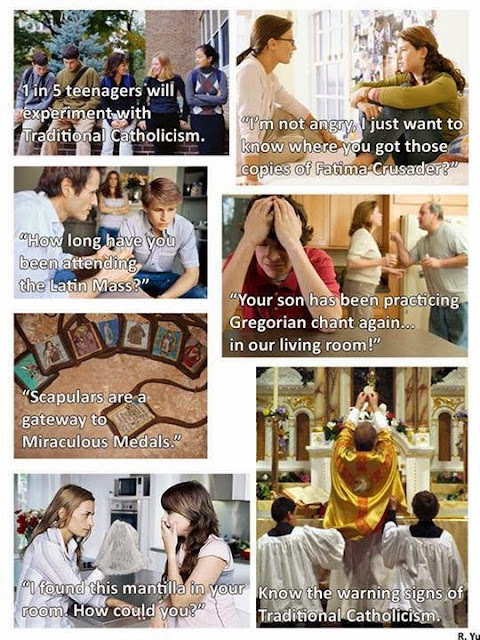 Know the Warning Signs of Traditional Catholicism - A little humour for the end of the year! Letter to Friends and Benefactors #81 and a new Rosary Crusade! A Catholic Education - A Treasure Worth Digging For!